The people. Forestry has an almost community feel. Being a small industry everyone knows everyone! I also love the outdoor element of my job. No two days are the same and the need to be reactive to situations keeps you on your toes. It’s a rewarding sector with so my disciplines to choose from. Whether you are interested in ecology, wildlife management, timber harvesting, sawmilling, planting and establishment… the list goes on, forestry is able to cater for all interests. I touch on many of them in my role day to day as a Harvesting Contracts Manager. How can ICF support women in forestry, harvesting, and arboriculture? The ICF already supports women in all aspects of forestry. Being part of a minority, I have never made me feel unwelcome and having events such as the ICF’s AGM or ICF’s National Study Tour provides the opportunity to talk to other women in the industry. Having a higher number of female chairs and speakers at conferences and events shows the progress that the industry is making. 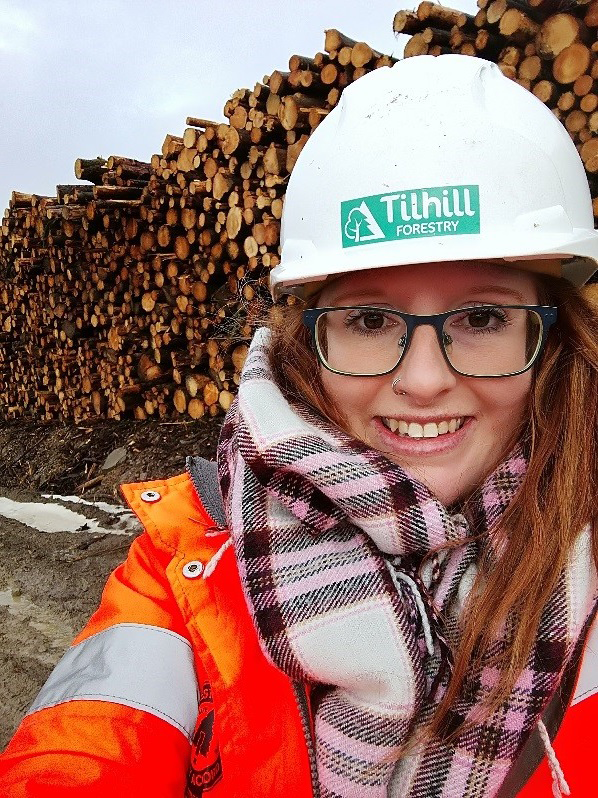 As forestry is an industry still relatively hidden from career choices, developing a diverse workforce is going to be challenging. Just continuing to have a presence at careers fairs and shows is making a difference; it’s often the perception and uncertainty about the industry that deters women from pursuing a career in forestry.